Shikles Cabinets is a completely custom cabinet fabricator that uses innovative designs to solve its customers space constraints. Due to the company’s high-end clientele, a simple, stock business card just wouldn’t do. Our client knew he wanted to use an extra thick paper card stock with a colored edge, so we revised the logo, typefaces and colors of the previous business card design to make the new card more legible and the effect more memorable. Adding a few Contact Us icons gave the back of the card a modern feel. 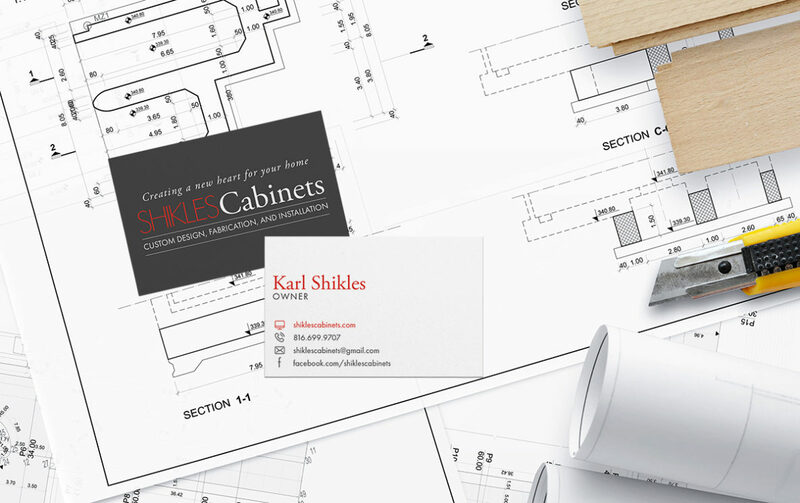 Shikles Cabinets provides its customers with innovative designs and superior construction techniques that ensure their cabinets are on-trend, yet timeless. Attractive and highly functional, their cabinetry is superbly crafted from sustainable hardwood at prices you can afford. Shikles Cabinets can guide you through cabinet styles, room layouts and finish selections for a truly unique space or custom match the existing cabinets if you only need to update or add certain pieces to a room.